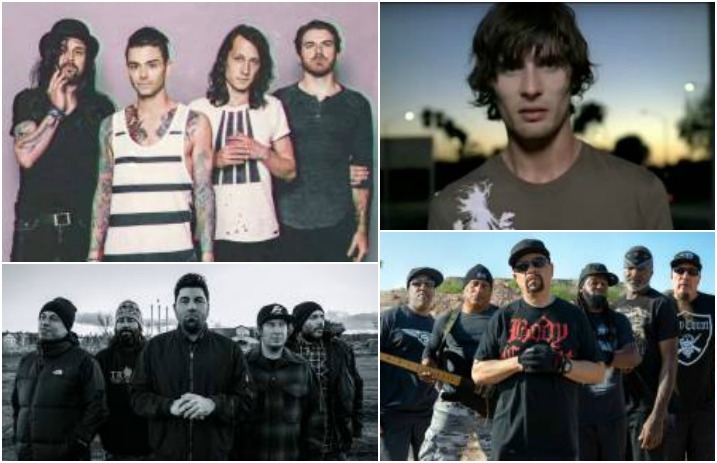 Hear Dashboard Confessional and the All-American Rejects cover each other, watch a video from Body Count—plus see news from PVRIS, Kublai Khan and more! Check out the news you might have missed today below! Dashboard Confessional and the All-American Rejects have covered one of each other's songs to commemorate their summer tour together, going on now. Dashboard chose to cover “Move Along,” while All-American Rejects covered “Hands Down.” Listen to Dashboard Confessional's new take on a scene classic below, and the All-American Reject cover of Dashboard here. Plus, check out the remaining tour dates below! PVRIS have announced that their upcoming album All We Know Of Heaven, All We Need Of Hell willl not be released on the scheduled release date of August 4, but instead will be pushed back to August 25. Lynn Gunn confirmed this change last night on the APMAs red carpet. My Morning Jacket have annouced the lineup for their four night festival in Punta Cana, Dominican Republic. The festival will be held at the Hard Rock Hotel and Casino on March 2-6. Pre-sale tickets will start July 25 and general sales start July 26. Check the One Big Holiday website for more details on ticket sales and the non-music activities they're offering, and check out the lineup below! Body Count made a video for their Slayer covers of “Raining Blood” and “Postmoretem.” It's obviously brutal. Check it out below! Rise Records posted this video to announce that they've signed Kublai Khan and to announce a fall tour that will take place between September 4 and October 7. The video features a clip of a new song, “Antpile” from their upcoming ablum Nomad, which is scheduled to be released on September 29. The new beer by Deftones is called Swerve City, an IPA with a 7% ABV. The beer is a collab with Belching Beaver Brewery in San Diego. According to Belching Beaver, “Swerve City IPA captures the tropical vibes of POG juice. With the classic combination of passion fruit, orange and guava, it's like summertime in a bottle. Available this summer!” This is Deftones' second beer collab with Belching Beaver Brewery.